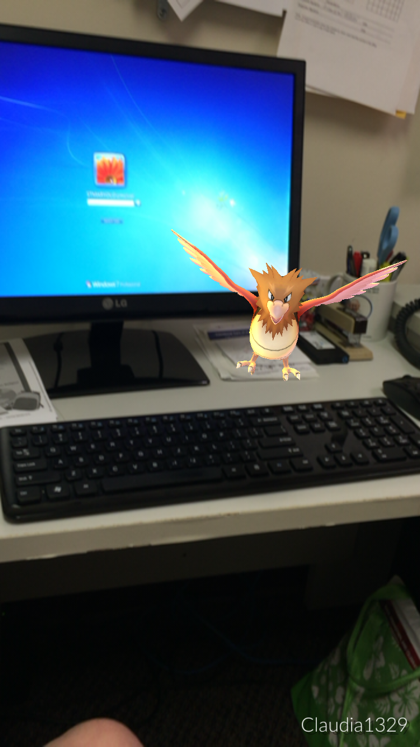 The new mobile app augmented reality game, Pokémon GO, developed by Niantic, is such a phenomenon, it would seem irresponsible if I, as a digital disciple, did not give it a meaningful strengths, weaknesses, opportunities and threats analysis before proposing it for adaptation in the evangelization arena. Like any new media tool, it’s helpful to spend time learning and then discerning, asking ourselves if this is a gift we want to unwrap or not. First, let me say that yes, I do play the game. I am not a Pokémon GO expert, but I have real life experience. I am not young. I am in my sixties, but I have a playful heart and an inquisitive spirit. The older I get, the harder it is to find experiences that enchant and charm. Pokémon GO has become one of those experiences. I play it alone and I play it with my young adult children. Quite frankly, I can’t wait for the right moment to suggest this tool for use at my parish staff meeting. Maybe this article will help! For a good overview of how to play the game, click here. Years ago, a GPS enabled game called Geocaching was invented. Similar to Pokémon GO, an app gives the gamer directions to previously hidden real or virtual “caches” or hidden containers. The gamer’s task is to use the app and a GPS-enabled device to navigate to these hidden caches. The fun is in the hunt! In most cases, finding a cache meant you simply signed the log and then replaced the cache for others to find. Geocaching was readily used by youth, adults, and outdoorspeople, and then adapted for educational technology. Read more about one school that adapted geocaching as part of their technology/computer curriculum here. Similar to the cautions raised on the Geocaching web site, there is an inherent danger in walking about in the real world to play Pokémon GO. Yes, you do have to be alert and careful of where you are walking, who you are with and follow basic safety rules. Does Pokémon GO put people in danger, or does it give them an opportunity to make safe decisions about interacting in the outside environment? Your comfort level with risk may determine your answer. Read the “Safe Play” section of Niantic’s TOS statement to learn more. Another caution about Pokémon GO is the inherent privacy issues of users who create accounts. Niantic has posted an Account Maintenance and Guideline update stating that the game only, and ever has, had access to the users basic Google information, not full information. Read the statement here. Read the full Terms of Service Statement for Pokémon GO here. Naturally, we are concerned about our children. The TOS clearly state the restriction of this app to children aged 13 and older. The consent of the parent is required for the use of the game by children under the age of 13. Non consent will result in the account being terminated. Parents can also terminate the account of a child by submitting a request to Niantic. Basically, parents are meant to give guidance and set boundaries for safe play in Pokémon GO, similar to any other children’s game or use of media. Our aim is to raise good digital citizens, and gaming is becoming an unavoidable opportunity for parents to teach their children the principles of kindness, courtesy, fair play, safety and boundary setting. To me, that’s a good thing: the teachable moment. Another teachable moment in the game is to recognize that Niantic is in business for profit and that Pokémon GO offers in-app purchases. Highly engaging games will tempt users to drop a few dollars to progress more quickly, to buy extra items, or to replenish missing pokéballs when you run out at the most inopportune moment – like when a rare Vulpix suddenly appears in your path. Better to have that conversation with your child well before he/she gets in that situation so you don’t find unexpected charges on your credit card! Having discussed some of the weaknesses/threats of Pokémon GO, let’s take a look at how the game might provide opportunities for catechesis, evangelization, community-building, hospitality, and meaningful interaction. Below is a selection of recent articles specifically about using Pokémon GO in a church setting. As you will see, there are many opportunities for outreach, hospitality, and evangelization if a parish is willing to think outside the box. 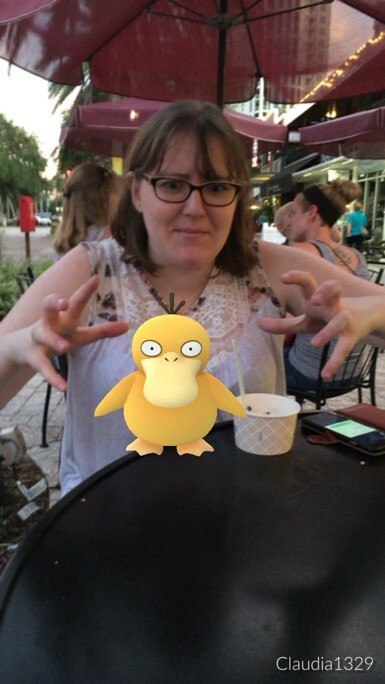 Christianity Today – The Best Way for Churches to ‘Capitalize’ on Pokémon GO? Play it. This article makes some insightful points: are you seeing people on your church steps playing the game? Welcome them in! Remember that gamers may have had past negative experiences with church and that gaming has positive, community-building effects. After all, players must abide by rules, pay attention to the details around them, and cooperate to achieve a goal. Catholic Herald – Churches swept up in Pokemon GO craze. “… nature of the game is driving swarms of players to unsuspecting churches, businesses and other landmarks. But as it grows in popularity, priests, youth groups and others are quickly finding opportunities to evangelise young people.” Talking to youth, opening the doors to young people, and taking advantage of this cultural phenomenon are all addressed in this article. Episcopal News Service – Episcopal Churches go for Pokémon GO. This article praises the way Pokémon GO is bringing people out of isolation and into interaction with one another. It asks the very important question, “How shall we respond?” to the crowds of visitors. One strategy suggested was to install a cell phone charging station in the parish hall! Not only is this article positive in its tone, it also offers many practical suggestions for churches to use. Huffington Post – What To Do If Your Church Is A Hub For Pokémon GO. Huffington Post is the USA Today of online media. Check out this article for short, to the point ideas and lots of digital images showing practical ways to welcome gamers and invite them to engage with your church. Christian Post Church and Ministry – Churches Are Using Pokémon Go as Evangelism Tool to Catch Them All, Says Hunter Frederick. Public relations expert Frederick shares ideas for meeting youth where they are, not where we’d like them to be, using Pokémon GO. 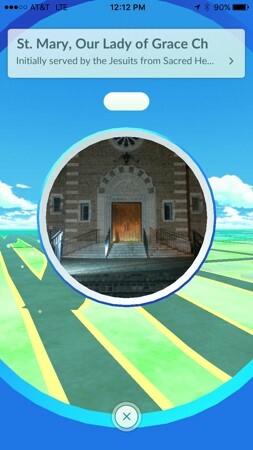 United Methodist Church – Pokémon Goes to Church. This online article offers some do’s and don’ts to churches as they see the opportunities of many gaming visitors. There is also advice on how to remove your site from the game if you wish not to be listed as a PokéStop. The Wardrobe Door – 8 WAYS CHURCHES CAN CAPITALIZE ON POKEMON GO. Starting with a promotional video, this article then offers a series of very practical and helpful suggestions for churches that want to make their campus welcoming to gamers. My favorite is to offer drawings for free Pokémon gifts! The Washington Post – Come for Jigglypuff, stay for Jesus: Church in the age of Pokémon Go. This article has some great ideas for boundary-setting, meeting the challenges with humor, and seeing the big picture when your church is a PokéStop. It is absolutely clear that the Pokémon GO phenomenon is a valuable opportunity for churches to reach out to a much-missed population of millennials, and to evaluate their own ability to be flexible and responsive to evangelization opportunities. After only a month in existence, the media, churches and leaders are paying attention, writing, and considering the many opportunities that this game brings. As many of the above resources mention, it is most important to be aware of all facets of the game in order to manage the opportunities as well as the risks. I absolutely encourage parish staffs to be aware of Pokémon GO if their church is a PokéStop, and to consider how this, as well as the inevitable future variations of augmented reality games, might be a gift they do, indeed, want to unwrap. Here are a few more resources to check for Pokémon GO images. Google Image Search Advanced Mode will yield some images that are free to use. Check each image. Attribution may be required. This article is part of the training materials used in Digital Discipleship Boot Camp (DDBC). For more information about training in technology applied to ministry settings, please visit our website, http://ddbcformation.org. Budget. Return on investment. Value. Frequency of use. Ah, those pesky but necessary terms that help churches determine whether to make a purchase. The fact is, when investing in technology, these are very real things to think about. This is why finding solutions that may not be super feature rich, yet meet your needs, and are affordable (or even free) can help make these leaps of faith easier on the digestion. The ability to offer online meetings is definitely one of those options that churches would like have but balk at it because of cost and how little it may be used. Fear not! There is an option that gives some of the benefits of GoToMeeting but at the cost of Skype (that’s free, by the way). It’s called join.me. Mobile apps – works with iOS and Android. Screen sharing – show your desktop to participants. File transfer – send files to each other during the meeting. Internet calling – connect through Voice over IP. Share control – can give control of organizer’s screen to others, one person at a time. Unlimited audio – free international calls and meeting access via phone. Share a window – choose a window to share, and keep the rest private. All alerts, email notifications, and third-party chats will be hidden. Presenter swap – let someone else show his/her screen and become the presenter. Works with PC, Mac, or iPad. Meeting lock – control who sees your screen. Annotation – everyone can mark up the screen. As the presenter, you can take a snapshot of the screen for your records and clear the screen to start fresh again. Record your meeting – record audio and visual and store it in LogMeIn’s cloud, Cubby. If you want to have online meetings or have staff, committee members, parents, or teens attend an in-person meeting they might have otherwise missed, join.me is a great option for parishes looking for a simple needs solution or are limited by their budget. Nervous about trying it? Liturgical Publications, Inc. uses it for their online meetings across the country. Give it a try! Oh, how I love Mail Chimp! Do you know that the most effective way to reach groups of people is still email? Better than Facebook, better than Twitter; if you want to get the word out about a specific event or topic, it is best to simply send an email. Yet we all know that emails can be wordy, uninteresting, and get lost in people’s in-boxes. Mail Chimp may be the solution for you and your faith community. Disclaimer: Mail Chimp really isn’t, strictly speaking, a Web 2.0 tool. 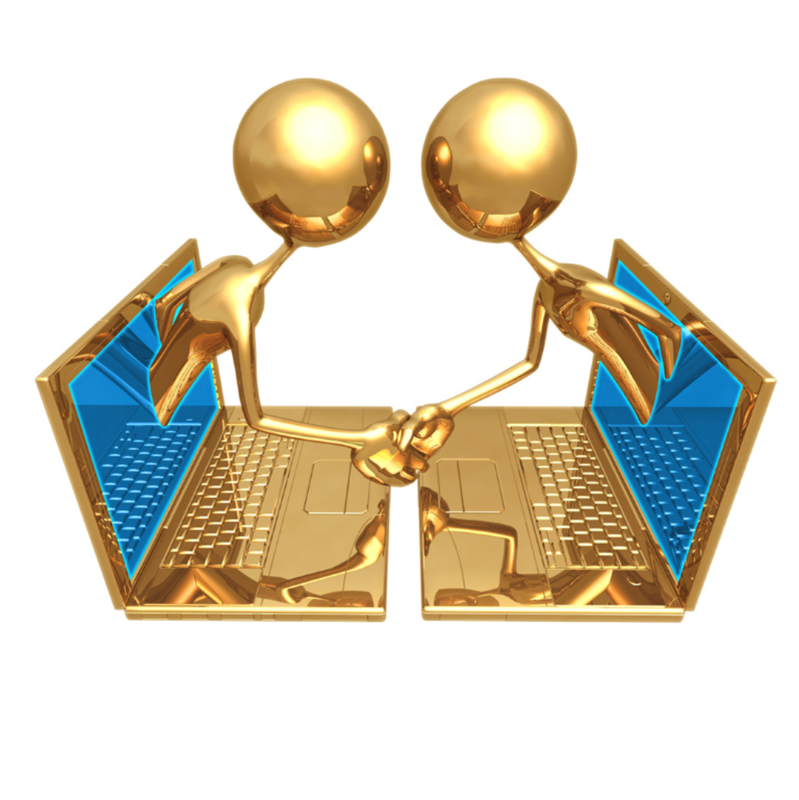 It is one-way communication, not collaborative like may of the tools listed on this blog. But I find it to be a fantastic supportive tool to enhance the catechetical experience, so I really wanted to share it with you. I’m hoping it passes our editorial team’s discerning eye, and that you find it useful as well. Here’s the problem: you have a group of students and parents who need to receive information from you, the catechist or school administrator. You want your weekly or monthly communication to be visually attractive, but also to have space for text: schedules of upcoming events, for example. Maybe you want to include some images of the students engaged in your catechetical classrooms. Oh – and of course you want to also include a brilliantly-written reflection on the Gospel of the week. You’d like to have a blog, but you have no way of guaranteeing that your parents will access your blog. So you decide to go with email. However, regular email doesn’t really grab people. How can you make YOUR emails something that parents look forward to receiving? First, set up a FREE Mail Chimp (MC) account. Your next step is to make a email list. Be sure to read the rules and regulations so that you understand what you are and are not allowed to do using this tool. Mail Chimp requires that your list is compiled from people who opt-in, so I suggest you make this part of your registration process for faith formation in the parish. Next, import that list to your Mail Chimp account. Now you are ready to go. Each time you compose an outgoing message, you create what MC calls a “Campaign.” You can use one of the templates provided by Mail Chimp or create your own. If you have basic knowledge of editing functions such as adding text, importing images, and photo editing, you can easily create a customized e-bulletin in minutes. Mail Chimp walks you through each step and when all the components are verified, you launch your campaign. For a free web tool that allows you to email groups, this is a great option. Set up a Mail Chimp for your parents. Send schedules, last minute changes, images of your students, and homework assignments throughout the year. Ask your students to help you compose the next campaign. Choose a theme, such as “What we learned in the last unit,” or “The Sacrament of Reconciliation.” Use the campaign to display student learning. Have the students contribute all of the content. If you are working with an older group, allow them to construct the campaign with supervision. Use Mail Chimp as an administrative tool for your catechists. Set up two campaigns per year: one with the schedule of classes and church holidays; one with professional development opportunities for your catechists to explore, such as diocesan certification, online retreats or classes, webinars, etc. We would probably all rather be in the classroom working with the students, but the reality is, there are administrative tasks that must be handled. I believe Mail Chimp could make our lives a lot easier, don’t you? As someone who has worked as a consultant with churches to integrate technology into their ministries and now as the person responsible for communications within a parish, finding a good solution to online forms has been a difficult task. I’ve seen pdfs sent to recipients to be printed and returned; pdf forms that could be filled out online, but were difficult to construct; emails used to gather data and then used to create a spreadsheet; and templates for online forms that were limited and confusing. If this has been your experience too, then read on about a solution called WuFoo. Owned by Survey Monkey, WuFoo allows you to build online forms that have a built-in, robust backend. The result is a browser based form, be it sign-up, availability, registration, survey, mailing list, contact, application, order, or invitation that is very user friendly and extremely easy to create. You begin in the form builder where most of the work is drag and drop. Having a rough sketch of what you want the form to look like will help you in this process. With its automatic backend building, as you add rules for a cleaner look, WuFoo will let you know if something is not working. This is very helpful if you have a complex form such as an availability form with lots of dates or a new parishioner form. You can give it a customized look with its themes and the ability to include your parish logo. You cam embed the form with codes WuFoo provides. You can accept payments. WuFoo can even set up notifications to be sent by email to the user and anyone who needs to be informed once the form has been completed. Moreover, if you need to compile your data into a spreadsheet, WuFoo allows you to import everything into an Excel document all at once. So if I’m telling you about this tool, it is supposed to be free. The trial of three forms is free. To go beyond that, there is a monthly/annual fee. For most churches, you are looking at $15 – $30 a month depending on the choice of plan. What you will save in paper and labor alone will offset the cost. The parish I work at started using WuFoo less than a year ago. Currently we have forms for new parishioner registration, cantor and musician availability, lector availability, server availability, facility/room requests, IT service requests, and vacation/personal time requests. We have plans to continue to grow our use including registration for our intergenerational faith formation program. If you are looking for a one-stop site to meet all of your online form building needs, give WuFoo a try! If you have an iPhone, iPad or an iPod Touch you now can download a FREE app called 30 Hands Mobile. Why? 30hands Mobile is a fun storytelling app that allows students, teachers and anyone with creativity to easily create stories or presentation based on photos, images or slides using a smartphone or tablet. If you are wondering what you can do with this app, check out the Storyboarding Exercise. Here you will find an overview of how to begin using the app. Very easy and simple to use. Jonathan Wylie’s 30 Hands Mobile Tutorial gives you a full overview of how to use the app. Here are a few suggestions for using the APP with your students. First, find out which students have access to an iPhone or an iPad. Send an email to their parents to ask them if their student could bring the iPhone or IPad to your class (tell them which date). Once the parent says “Yes”, send then an email with the name of the APP “30 Hands” and the iTunes link. Ask them to download the app so that it will be available for the class project. Assign the students to work in groups (this way a student who may not have an iPhone can be part of a group to create a video). Choose a Theme for the video, for example: A Scripture Story, Story about their Confirmation Name, or…. Once the storyboard is completed, review the story and offer suggestions. Once approved then students can work on taking the needed photos, drawing images that will later be photographed and added to the Photo Roll. Have the students view the 30 Hands Mobile Tutorial. This can be done in class, or you can email (or text) the URL to your students/families for them to view before they come to class. Once the video is completed, you can show in class or add to your class blog, ask your parish webmaster to add to the parish website, or email the links to the families to view. Here is an example of a video that was created after the Dedication of the Cathedral of St. Jude the Apostle in St. Petersburg, Florida. Imagine taking students to visit their parish church or the diocesan cathedral and inviting them to tell the story of this church, what they learned during their visit. You will discover that using this app is very easy to use. In addition you will also discover that this service provides an option for creating an online learning environment with your students. I’d encourage you to check it out! Go to 30 Hands where you will discover an easy-to-use interface that allows teachers/catechists to quickly create course outlines then drag and drop multimedia content into the course and organize by topic, unit, theme, module, project team or learning style. Students always have quick access to the materials they need and teachers can quickly change the course structure as needed. I hope that you will try the mobile app, as it is one of the easiest I’ve used to create a video. Come back to tell us how you are using the 30 Hands Mobile App or the course service. We’d love to hear your story. Those of us, who are trainers, look for tools that will assist us with the task of giving feedback. I recently discovered ForAllRubrics. I tried it, and I like it! It is easy to use, and it allows me to give concrete feedback to a trainee quickly and easily. As needed, a face to face meeting or phone conversation can be a follow-up. If I were working with students in a classroom, there is an option to engage their parents in the conversation. Of course it is FREE! To learn more about this tool, you can visit Karen Jeffrey’s blog ForAllRubrics How To: Setting Up Your Roster – Where she walks you through the basic steps of setting up your class roster. When you set-up a rubric, I found it easy to do and there are plenty of examples, but not faith-based examples. 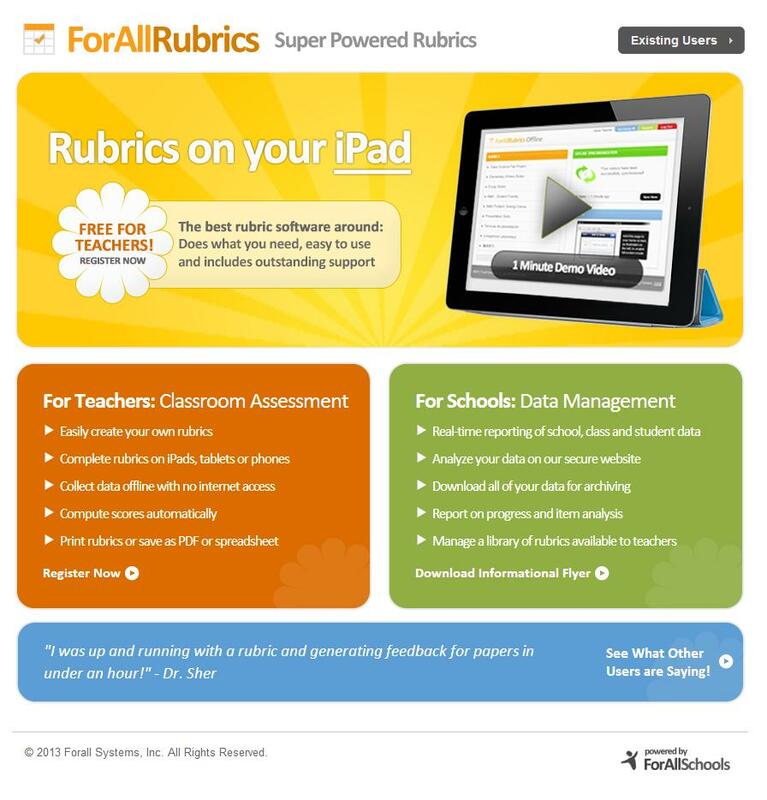 The ForAllRubrics Short Tutorial video, gives you a brief overview of the tool. Preparation for the Sacrament of Confirmation: Look at the Confirmation Guidelines for the Archdiocese of Dubuque. If you were a Confirmation Catechist, what type of a rubric could you create that would reflect these guidelines? What five (5), ten (10), or maybe (15) faith objectives are relevant that could be represented in a continuum from say “novice to faith-filled” or any other meaningful continuum. As you engage with your confirmandi, you can share your assessment with your confirmandi several times during your Confirmation preparation quickly and easily. Children’s RCIA Catechist: If you are a Parish Catechetical Leader and coordinate the Children’s RCIA group. One of your responsibilities is to engage the children’s RCIA catechists in a formation process. Perhaps you use the Six Skills that Every Children’s Catechist Must Have as the basis of your formation experiences. So your training classes are finished and those attending the sessions know what needs to be done to be a good catechist. But what are you observing in their interactions with those they are teaching and how are you sharing your observations? Perhaps a rubric that uses the six skills that you have highlighted as important would provide the concrete feedback that you need to affirm or to encourage further growth in becoming a wonderful and competent catechist. I’m sure that as you explore and use this tool, you will find a variety of ways that it can be used. I am inviting you to come back to share your story. After all, the wheel was invented once, and since then, we have been improving it in so many ways. Looking forward to hearing from you in the near future!